The question of the fundamental cause of ME/CFS is an intriguing one. It's one that I find fascinating, mostly because it effects me personally, but also as it is something that medicine largely seems to have no answer for. It's like a puzzle, an intellectual challenge. I am only surprised that more scientists haven't shown more of an interest in working out the enigma. From what we know, and from our experience, the immune system certainly seems to be implicated, but in my own case my symptoms appear to be more closely tied to dysautonomia. Dysautonomia is simply a malfunction of the autonomic nervous system, and something that most people with ME/CFS have, in one form or another. The next question, of course, is What is the autonomic nervous system? The autonomic nervous system (ANS) is the system in our bodies that controls anything that is not conscious on our part. This includes heart rate, blood pressure, digestion, saliva production, breathing, sweating and temperature control. It's what happens automatically when we're doing something else. It's supposed to run like clockwork. Most people with ME will recognise the above list, as they are all areas people suffer with. Personally I have problems - like most PWME - with regulation of blood pressure, I can't stand for long periods and feel drained if I have to, and being upright at all can be tiring. I don't really sweat, even in my sauna at 50 degrees Celsius, I have had problems regulating temperature, I have low saliva production, some digestion problems, sometimes a tight chest, and a heart that occasionally pounds or beats too fast. This is all related to the autonomic nervous system. I recently discovered the website of a group called Dysautonomia International, which represents people from a wide range of conditions that all suffer from elements of this problem with the nervous system. It makes reference to POTS (Postural Orthostatic Tachycardia Syndrome), which a lot of people with CFS/ME experience, as a difficulty staying upright or standing, and a tendency to faint. There is a certain amount of research being done on this area among scientists, and I know that in Breakspear, the clinic just outside London that I am attending, they put quite a lot of emphasis on treating the autonomic nervous system. They do what they call an Baseline Autonomic Index. To do this they attach sensors to the chest, stomach and heart, and clips on the fingers to measure the blood gases, and also put a band around the chest. And they measure heart rate and pulse, as well as the levels of oxygen (O2) and carbon dioxide (CO2) in the blood, blood pressure and breaths per minute. Also part of the test is a challenge to the central nervous system. In my case the doctor asked me to take six very deep breaths, one after another. Even though I was lying down I felt quite light headed quite quickly. This, he said, was due to a lack of CO2, which he could measure from the sensors. To counter this he gave me a rebreathing mask, which I have written about before. The mask is worn basically to correct the lack of CO2 in the body. This in turn is supposed to help the levels of O2, which are necessary for producing energy in each cell in the body. Another one of the therapies that I have been looking at recently is called Somatic Experience therapy. A friend of mine - also with ME - has had good results from it, she says. It aims to engage the parasympathetic nervous system (PNS) - the so-called "Rest and digest" part of the nervous system - and to turn down the sympathetic nervous system (SNS) which manages the "fight or flight" impulse. The difference can be seen here. The SNS is for emergency situations, though what happens in CFS sometimes, is that people get stuck in the "fight or flight" mode long term, thus causing many of the symptoms common to dysautonomia and also to ME. It is something I may try in the future. Another thing on my list is H.O.T. This stands for Home Orthostatic Training. It was developed, as far as I know, by Professor Julia Newton, in Newcastle University, who has done a lot of work in this area. The training is quite simple. 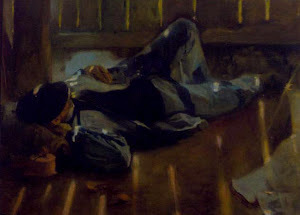 The patient stands against a wall, with their feet 15cm from the bottom of the wall, and their head leaning against the wall. This creates a kind of tilt. The idea is to do this for thirty minutes, though the vast majority of people with ME will have to build up to this period of time slowly. I can imagine starting at 30 seconds, and increasing from there. It is important to say that for people with ME/CFS - and especially for those who are more effected - this may not be possible, and may induce a faint, so should only be done with caution and probably with someone else there. They also advise that you discuss this with your doctor, and also have cushions around you in case you do pass out. The general idea of HOT is to retrain the body to tolerate being upright, standing, maintaining blood pressure. I have actually been in touch with Professor Newton, I emailed her and she kindly responded within a few days. She says that for those who can tolerate the therapy, they have got good results with improvement in energy and greater tolerance of being upright. There is info on a preliminary study here. Again we can see that it is about retraining or resetting the autonomic nervous system. It is about correcting what has gone out of balance, getting the ANS to behave as it should. This is the key, I think, resetting the autonomic nervous system. This is what these therapies do, and what I feel I really need. It makes me think of my laptop, which at times begins to malfunction. Processes like opening a file or playing a video, that are normally almost instantaneous, become slow and sluggish. The connection to the internet drops, or it refuses to sleep when I close the top, or it doesn't recognise my printer when I connect it. Whenever this happens, my first instinct is, naturally, to reboot it. Turn it off and turn it on again. Invariably, this simple action improves or resolves the problem. More often than not my laptop is working perfectly again after a chance to reset itself and start again, its central nervous system now in synch. And that's what I wish someone could do for me, I feel that I need to be rebooted. I need to be switched off, and then switched back on again, to be able to reset. I feel profoundly out of synch, out of rhythm, unbalanced. I am sleepy during the day and sometimes can't sleep at night, my energy runs out way way before it should do, I can stand for a few minutes but then feel the blood draining from my head and brain, and lose basic functionality. I am stuck in this malfunctioning rhythm where things just don't quite work as they should, and where everything is slow and sluggish and out of phase. And all of these approaches, the rebreathing mask, SE therapy and HOT - as well, no doubt, as many others - seek to help this rebooting process. They may or may not work for me, though I intend to try them all, but somewhere here I am convinced is a key to what has gone so wrong with my autonomic nervous system. 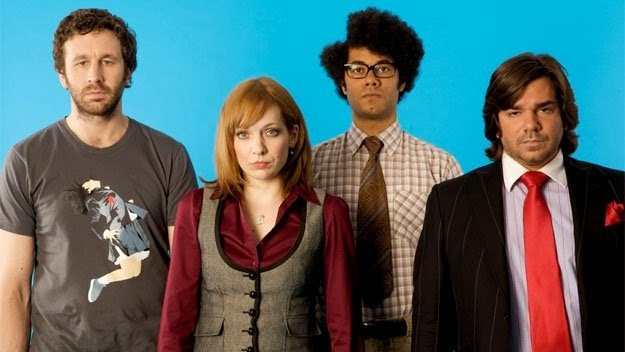 Crowd, about the slightly dysfunctional IT department in a London company. Any time anyone rings them up reporting problems with their computer they get the same reply from the techs there - "Have you tried turning it off and turning it back on again?" This is the full extent of their expertise. I just wish I could turn myself off, and then back on again, and see what happens. It´s really interesting that the majority of PWME that I have met online, or in ´real life´ have POTS. I am convinced I have it too although the appointment I had set to look into it never happened after the initial consultation where I was told I would be hearing from them soon for more tests, and when I chased it up months after was told I had been removed from the system and needed to be re-referred and go through it all over again from the start, which at the time didn´t seem appealing (typical NHS!) Whilst I´m in Madrid I can´t go down that road but will definitely be looking into it further when back in the UK The website you linked seems interesting though. RE the rebooting thing - wouldn´t that just be great if it could be that easy for us humans! The POTS thing is interesting, I think it is almost universal for PWMEs. It's part of the ANS malfunction, so it is likely you have it in some form. I'm not sure what test they will give you, but I had a tilt table test, where they move you from prone to semi-upright on a table that you are strapped into. They leave you on a tilt (hence the name) and I fainted after about four minutes upright, it was very unpleasant, but at least it was proof of something wrong. It's probably worth looking into, and some medications can help, fludrocortisone for example. I've also found that increasing salt and water intake has helped with POTS. Also, I've finally got around to looking up the origin of the word "spoonie". I've seen you using it before and never knew exactly what it meant or where it came from. So I found the Christine Miserandino explanation of it from butyoudontlooksick.com, and it's pretty interesting. I'm still learning stuff! Thanks for your message, Graham. I had a brief look at Daniel Neuffer's site, it's intriguing, though I haven't watched the videos yet. I do think that the key for some people at least is the ANS, and there are a variety of ways of addressing it. What works for one may not work for another. That is something that Neuffer mentions as well, I think. I'm glad you have found a way of improving. Thanks for the article. It's interesting you feel like your immune system needs a reset, because that's exactly the same feeling I have. It's a very strange feeling, but I feel like there is just one simple thing "wrong"..something fundamental is "off". Like if just one switch was turned on or reset in the body then all the symptoms would go away. The reason I feel this is also because I have had a couple of series of almost complete spontaneous remissions from CFS. And they have always felt like someone turned a switch inside me, and suddenly my body just knew how to work normally again. Yeah, it is certainly mysterious. Were you able to pinpoint what triggered your remissions? Or were they just random? I think the more we can learn about our own particular situation and condition the better. For me I think it is more about resetting the Autonomic Nervous System rather than the immune system, though maybe that plays a part too. I have made progress recently, and although I can do a lot of normal things now, I am still constantly surprised by how dysfunctional my ANS still is. So yeah, a switch would be nice!